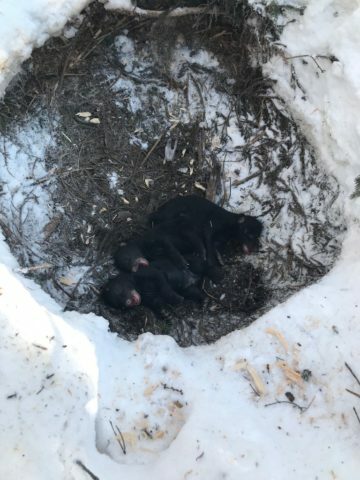 Maine game warden Paul Farrington keeps three black bear cubs that were relocated on Thursday, after a timber operation near their ground nest caused their mother to run away. The cubs were placed in dens of surrogate mother bears. 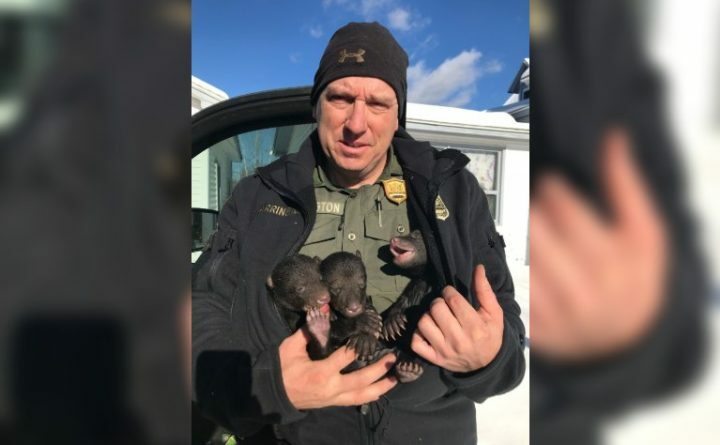 Three tiny bear cubs are resting peacefully in new dens after their original winter home was disturbed by a logging operation on Thursday, and their startled mother fled. 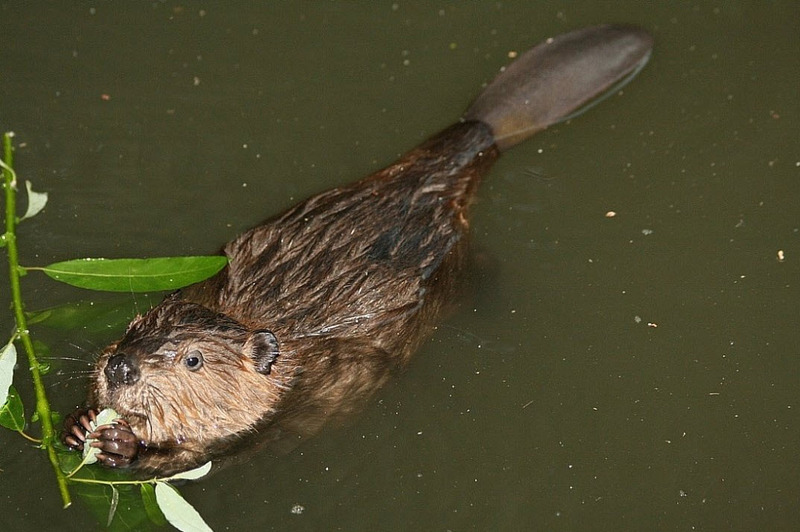 Maine game warden Paul Farrington responded to the scene in Woodville, which is just south of Medway, after the timber contractor tracked him down to report the incident. The den, which was an open pit called a “ground nest,” was not disturbed, but a piece of machinery passed by close enough to startle the mother bear. Three black bear cubs huddle in their ground nest after their mother fled on Thursday, Jan. 31, 2019. The bears were placed in dens of surrogate mother bears.